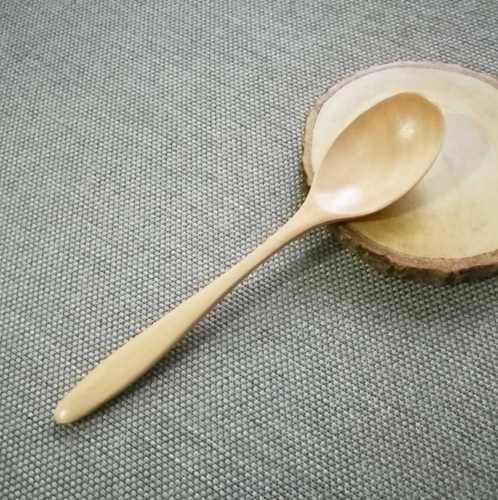 High Quality Natural Wood Spoon Kitchen Accessories Eco-Friendly Tableware Dining Soup Spoop, made of natural renewable resource. Easy to wash, mild soap and water; Dry thoroughly. Easy to clean and reusable,Great for hiking, mountain hiking, camping, lake fishing, construction site lunch or picnicking, perect for nasi goreng, fried rice, curries soup,rice, cereal soup,Korean or Japanese meals. This soup ladle makes light work of serving your favorite foods, whether you use it as a punch bowl ladle, soup ladle, water ladle , gravy sauce ladle,porriage spoon,rice paddle scoop and salad ladle,or a skimming ladle.The TEKLiving Wooden Ladle is perfect for portioning and serving soups, stews and chili. Sturdy Beech-wood is safe for non-stick cookware and heat resistant to 80~100 degrees, comfortable handles provide a good and lightweight grip well, and this soup ladle is pretty enough to take to the table for serving. Looking for ideal Japanese Wooden Spoon Manufacturer & supplier ? We have a wide selection at great prices to help you get creative. All the Tea Spoon Coffee Demitasse Spoon are quality guaranteed. We are China Origin Factory of Wooden Ladle Tableware Set Eco Friendly. If you have any question, please feel free to contact us.